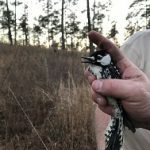 Columbia, SC—– It was a welcome surprise last month when Savannah River Site biologist Thomas “Tal” Mims spotted what hadn’t been seen for over 40 years on the Sumter National Forest, a male red-cockaded woodpecker. The last individuals were seen in the mid-1970s. Back then habitat conditions were not suitable for the species. 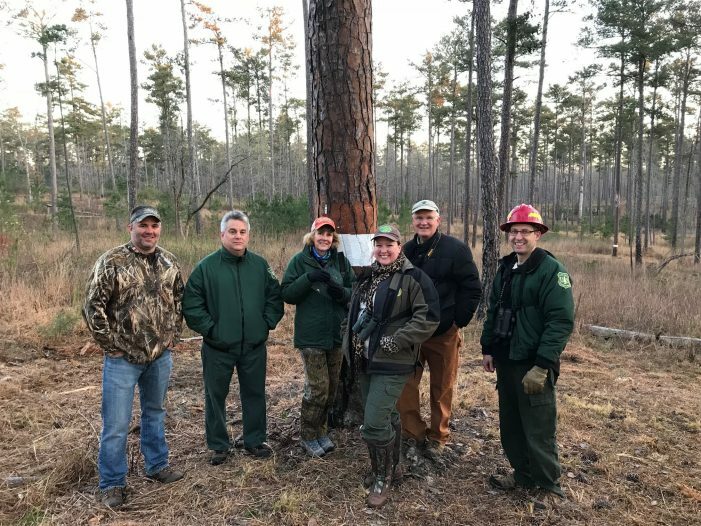 However, over the last couple of decades, the Forest Service has been using timber management and prescribed burning to create the open pine habitats that this species uses. “The Lick Fork Lake Recreation Area has been managed to provide a suitable environment for a whole host of native wildlife. We give credit to the employees who worked here for decades on the Long Cane and to today’s present employees. In the land management arena, it is quite a feat to have everything align to attract a federally listed endangered species back that was historically here,” according to Long Cane District Ranger John Kirkaldie. 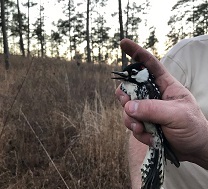 Through our partnership with the South Carolina Department of Natural Resources, their Red-Cockaded Woodpecker Project Leader Caroline Causey, supplied a female red-cockaded woodpecker has been brought into a nearby tree. This species is the only woodpecker to excavate cavities in live trees and flourishes in well-managed older pine forests with a diverse, open understory. For additional information, please contact the Long Cane Ranger District (803)637-5396.